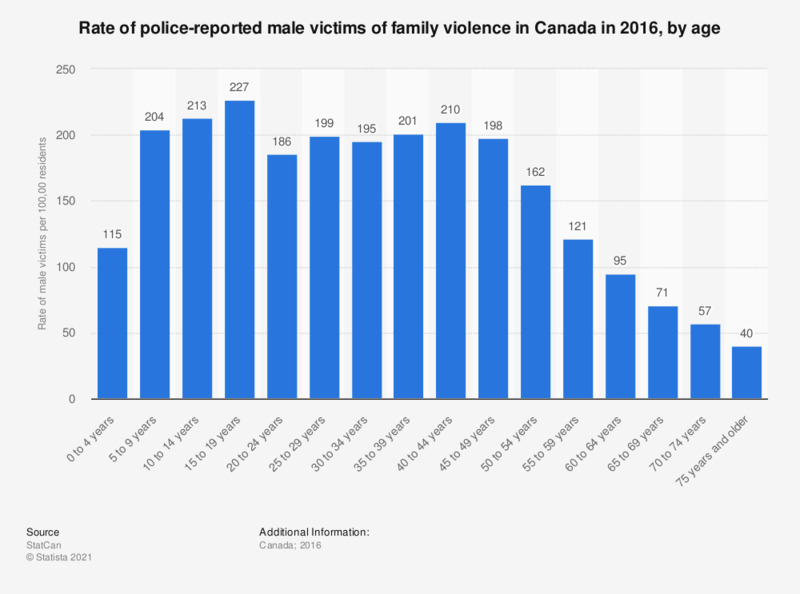 This statistic shows frequency of family violence against males in Canada, 2016, by age group. At 227 victims per 100,000 residents, males between the ages of 15 and 19 were most likely to victims of family violence in Canada in 2016. Do you agree that a man brought up in a violent family will be a violent husband? Do you agree that if a woman is beaten up by her husband she should leave him?